Oh Mafia II, what can I say about you? I love you so much and yet you left me feeling puzzled, confused and conflicted. You enticed me with your beautiful city, strong focus on narrative and realism, and your prospect of taking me on a virtual trip to the 1940s, a time I will never get to experience in reality. 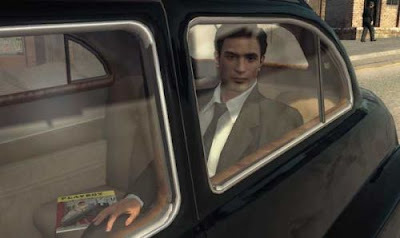 You did those things but then didn’t allow me to explore Empire Bay; to inhabit that wonderful time period or, indeed, Mafia story; and your attention to realism -- admirable as it is -- was a letdown once I realised it was barely enforced and that I could treat the “rules” like I would in any other open world game. You were supposed to be different, supposed to be unique, and certainly supposed to deliver something that couldn’t be found in other games. Instead, you are more like them than you realise. You deal with things just like they do, portray them in the same light, and the results of my actions are the same they have always been. You relied on genre conventions and tropes, on familiarity rather than something new, and became just another example of how right games like Grand Theft Auto actually got it. But you’re not GTA. You’re not concerned with mayhem or freedom or the relationship between player and world, of protagonist and ally. You are much more interested in conveying a story in a cool setting. So why didn’t you? It’s no secret that I was pretty keen on Mafia II. At the time I was excited about it because it truly seemed like something different, something I hadn’t experienced before. In some ways, it was. The time period and therefore setting -- particularly aesthetically -- was new (to me) and definitely a change from more modern surroundings and post apocalyptic adventures. But go beyond its looks and sounds, its sights and period-appropriate melodies, and what you get is just another game city, one impressive in size, scope and activity, but also one that has been done before. Liberty City, despite being released in early 2008, is still the most active, appealing metropolis that videogames have ever seen. Even L.A. Noire’s meticulous recreation of 1940s L.A. has nothing on the city that never sleeps, the city where there is always something to see and do. Mafia II’s Empire Bay tried to replicate some of the amazing diversity and sense of wonder that Liberty City inspires with almost every visit, and in some respects even achieved this, with a compelling atmosphere; similar sense of a “living and breathing” city; and places to go and explore, but then it takes it all away again in order to continue on with the story it is trying to tell. At first it is awe-inspiring, the beauty of skyscrapers in the distance and the little (scripted) moments that can take place due to the strong focus on story and the structure that reinforces it of particular note, but before too long you start to notice how deceiving it is, how it’s more of an illusion than a real city, and how little reason there is for it to actually exist. You only go places because you have to, because the story demands it. This might make these locations fascinating in their own right, because your attachment to the characters or the details you find within are relevant to you (think Heavy Rain), but consequently it leaves the rest of the city behind and makes it feel mostly irrelevant. There’s no motivation to go and explore; no incentive to see what Empire Bay has to offer. Sure, you could go for a drive or stroll and admire the architecture and personality, but your interest wouldn’t last long because there’s very little to see, very little to do, and the game keeps demanding you to go home, to go to your next mission or destination, all of the time anyway. You might be able to break free from the story’s linear structure and do your own thing, but that doesn’t mean the game wants you to. And why should it, anyway? It’s not as if time will pass or the weather will change. That goes against the game’s scripted focus, and we can’t have that. 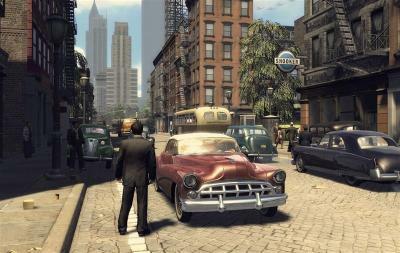 Don’t get me wrong, I loved Mafia II and I am definitely glad I got to play it, but it’s disappointing not because it is a bad game -- quite the opposite, in fact -- but because it didn’t execute on what I thought its qualities would be, and because it doesn’t appear to know what it wants to be, either. Not since Mirror’s Edge has a game left me feeling so conflicted, confused about how I feel, and dismayed by its failure to meet its potential. It lacks identity; delivers arena-style shootouts and over-exaggerated action, just like other games of its ilk; and doesn’t even recognise, perhaps ironically, that it is a game about the Mafia. It could be so much more than it is, then, but thankfully what it did end up being is still pretty good. I’ll have more on that, soon.